Limbo is a platform game made by developer Playdead in Copenhagen, Denmark, with heavy emphasis on ambience. The game is entirely monochromatic, with nothing more than black and white and shades of grey filling the world. There is no map, no HUD, no dialogue or descriptions – indeed, the only word that appears outside of menus at all is the word “Hotel” which appears on two signs. There is also very little music throughout the game, with it only being heard in specific locations and maintaining the minimalist approach in its composition. The game also contains no loading screens, and can be played continuously from start to finish without pause. It was released on July 21st, 2010, the first game to appear on Xbox Live’s Summer of Arcade 2010. The story in Limbo is never properly detailed in the game. The only written source of the game’s story can be found on the internet. “Uncertain of his sister’s fate, a young boy enters Limbo…” This is never stated in the game itself, and players are left to interpret the narrative for themselves. 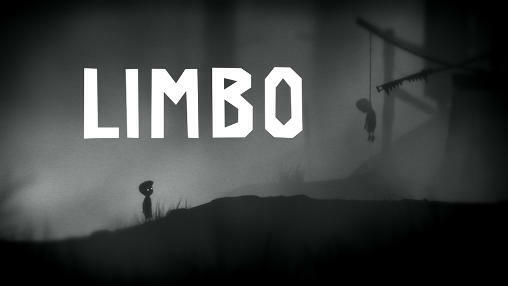 Limbo is a puzzle-platformer. The game only uses two buttons in addition to movement controls, one to cause the boy to jump, and one for contextual action, such as dragging boxes, pulling levers, or pushing buttons. The boy can grab onto ledges within reach and lower himself from platforms, climb ladders, push and pull objects and also swing from ropes found in the environment. Limbo features a lot of what developer Playdead describes as “trial and death” gameplay, requiring players to die frequently (and gruesomely) in order to fully understand the puzzles. Limbo has an extremely generous checkpoint system with almost instantaneous reloading, usually bringing the boy back to just before he set off a trap or fell into a chasm, minimizing (but not avoiding) player frustration. Limbo focuses mostly on physics-based puzzles. These puzzles involve the player pulling or pushing objects with true momentum, affecting fluids, and manipulating electromagnetism and gravity to move objects as well as the player. The game introduces a number of different types of puzzles as the game progresses. A frequent puzzle element involves brain slugs which burrow into the boy’s head and force him to walk forward, leaving him unable to stop or turn around until he walks into a bright light, which harms the brain slug and makes it turn him around to flee back into the dark. When afflicted by a slug, previously benign areas and easily-avoidable hazards turn into horrific obstacle courses and death traps.